Espresso Tuscany finish, black with brown undertones, Gold Ornate Rope Compo. Thin gold lip. With Liner. Close-out special: No limit on quantity ordered, but once we are sold out, that's it! Hover to zoom & click to enlarge image detail. Dark antique gold. No Liner. Light antique silver with red and black undertone and slight water spots. No liner. Scoop design with small corner ornament. Antique champagne silver. There are no reviews for this frame yet. Be the first to post a review! Minimum order is $100.00 plus freight/shipping. Shipping: Currently, item can be shipped only within the U.S. Shipping charges will be calculated on orders separately and charged at time of shipping. 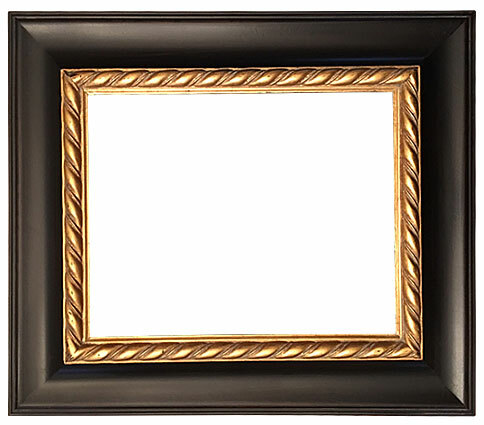 Order this frame on our secure shopping cart now! 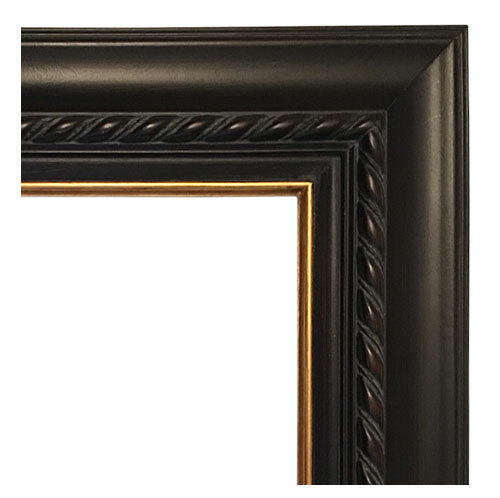 To order frame, please select the desired size, finish and quantity to the left. Which frame is right for you? © 2010-2015 San Diego Frame Manufacturing Co.